Following on from the brilliant Urban Outlaw film, here’s a short video by Maurice Van Den Tillaard featuring Angus Walker as he takes a journey in his 1976 911 Turbo Carrera, one of the very first to be delivered in the USA. Operating from his Los Angeles workshop, Walker, who turned his hobby into an obsession and a successful business, creates one-off machines using donor 911s from a bygone era. Winterlingen styling specialist Lumma Design has released details of its CLR 6 M program to suit BMW’s M6 Coupe and Cabriolet models. The aggressive body package comprises of a front bumper with large air intakes and lower spoiler, a ventilated carbon fibre hood, front and rear wheel arch extensions, side skirts, a carbon fibre motorsport rear wing and bumper with colossal diffuser section. Filling the arches is a set of Lumma’s multi-piece 21-inch alloys wrapped in 275/30 and 325/25 rubber. The only change to that 412 kW (560 hp) 4.4-litre V8 engine is a complete stainless steel exhaust system with centrally-mounted twin 100 mm tailpipes. This brand new episode from The Smoking Tire sees Matt Farah hitting Willow Springs in the €204,680 Mercedes SLS AMG GT to find out if is it more than just an SL 63 AMG with funky doors. Power comes from a tweaked version of the regular car’s 6.2-litre V8, producing 435 kW (591 hp) and 650 Nm of torque, allowing a 3.7 second sprint to 100 km/h and limited top speed of 320 km/h. 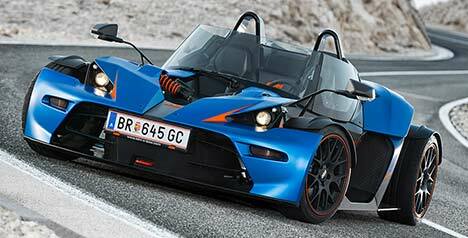 KTM has announced that it will be taking its new X-Bow GT sports car, which adds a sliver of practicality to the current machine, to Geneva next month. The grand tourer tag, used to represent automobiles able to make long-distance journeys in comfort, means that this particular model receives a heated windscreen with single wiper and a pair of opening side windows. A fabric top would have been a nice inclusion, but KTM drivers are made of tough stuff, so bring a waterproof balaclava. 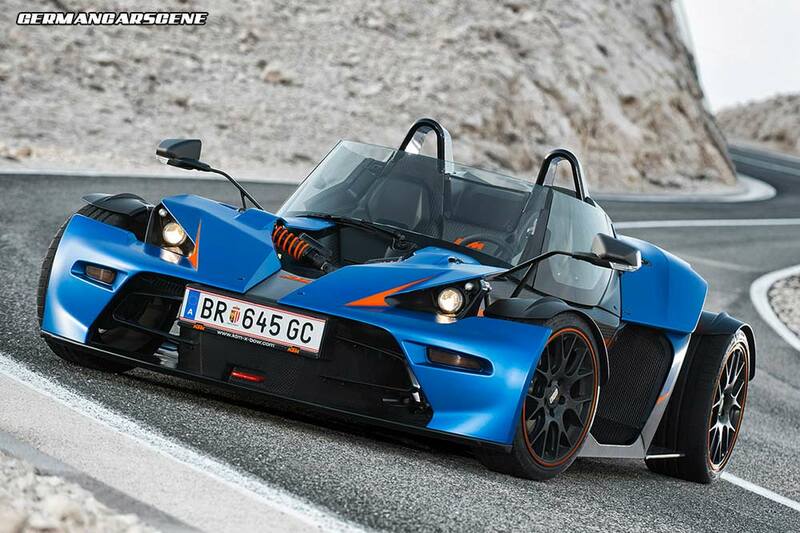 No exact power figures have been released, but the GT will be based on KTM’s flagship X-Bow R, which uses Audi’s 2.0-litre four-cylinder TFSI engine producing 210 kW (285 hp) and 420 Nm of torque. Ontario-based Pfaff Tuning has completed a project based on the current Porsche 911 to offer customers a glimpse of what it can create. Visually, the 991 wears a carbon fibre Vorsteiner V-GT aero package consisting of a front spoiler with central splitter, side skirts with integrated carbon blades and underbody panel for the rear bumper with finned diffuser section. Mechanical changes include a lowered H&R suspension system, a modified Fabspeed exhaust system and a set of ADV10 Deep Concave wheels finished with bronze centres to match the side mirrors and Porsche script on the rear. After what seems like an f-word eternity, Volkswagen will be unveiling the GTI version of its seventh generation Golf in Geneva. Visually the GTI sits on lower sports suspension and wears bi-xenon headlights with LED DRLs, LED tail-lights, honeycomb grille sections with red trim, 17-inch ‘Brooklyn’ GTI alloys with 225/45 size tyres, red brake calipers, a larger roof spoiler, diffuser and chrome twin tailpipes. Inside, Volkswagen has retained that check trim reminiscent of the original 1970s upholstery, along with special trim strips, stainless steel pedals, a GTI gear shift grip and GTI instrument cluster. Power comes from the company’s 2.0 TSI engine, developing 162 kW (220 hp) or 169 kW (230 hp) when specified with the new performance package, while torque rises to 350 Nm – 70 Nm up on the outgoing model. The extra power combined with the car’s lighter construction results in a 0-100 km/h time of 6.5 seconds and a 246 km/h top speed (performance package: 6.4s and 250 km/h). Advance orders begin in Germany on March 5, with prices starting at €28,350.